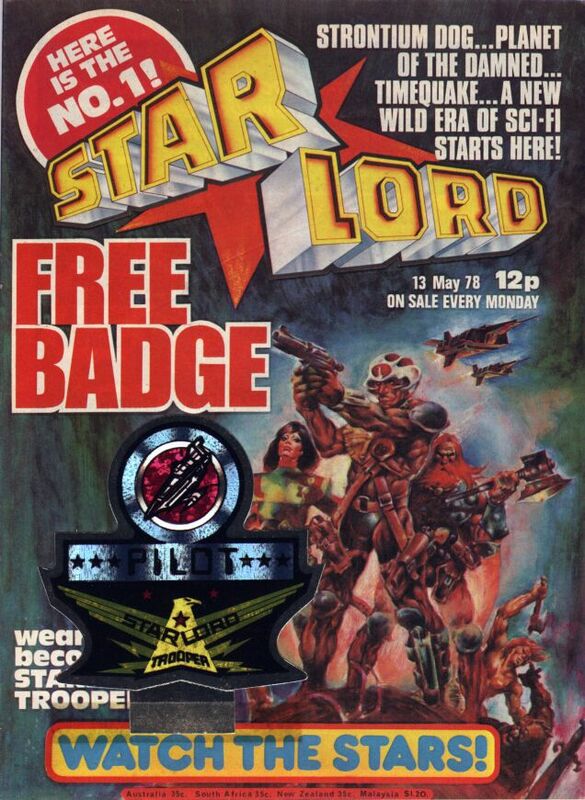 The year is 2078. 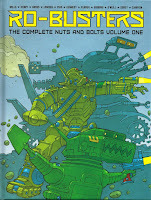 Two second-hand robots promised to the robot breaker's yard, Hammerstein a veteran war droid and Ro-Jaws a sewer cleaning robot, are bought by billionaire Howard Quartz, boss of a disaster rescue team, the Ro-busters. There first mission is to rescue humans stuck in the underwater North Sea Tunnel linking Britain to Scandinavia, after a submarine crashed through its wall. 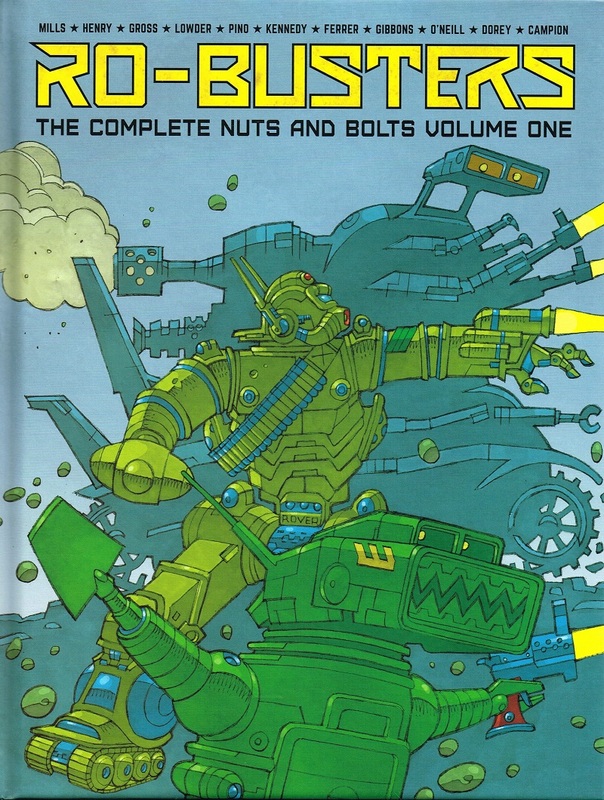 One of their Ro-busters companion is a computer sky spy robot called Chatterbox (11 pages). 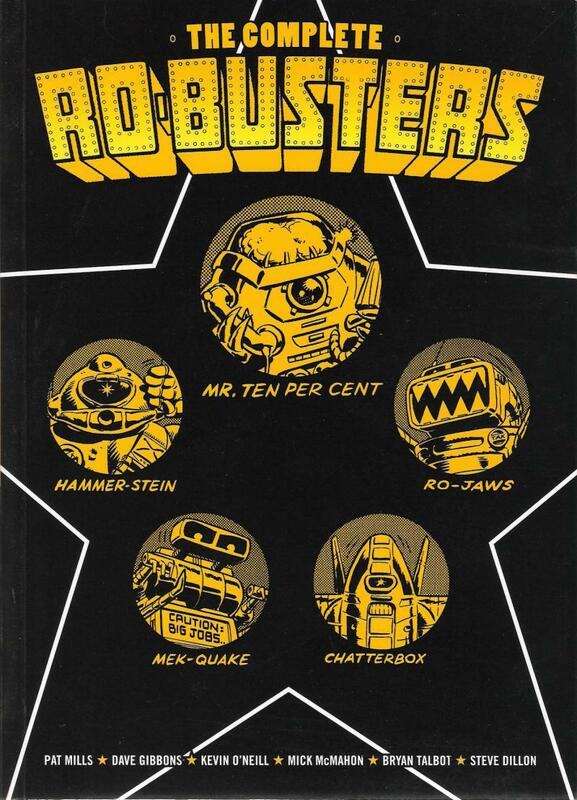 First apparition of Hammerstein referred as a mark 3 war droid, Ro-Jaws referred as a F.R.E.D.2-L (Federal Recycling and Environmental Droid), Mek-Quake (with its Big Jobs motto) and Howard Quartz referred as Mr. Ten Per Cent because only 10% of his body remained organic. 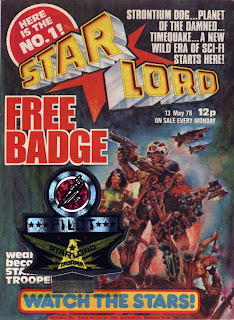 More visible on Starlord #1 than in the 2008 reprint, one's could notice 'BP' logo on the submarine (these were another times ..).